Location, location, location. It’s the first rule of real estate and it’s usually the first thing people consider when looking to buy a home. Next might come the square footage, the number of bedrooms and bathrooms and so on. While these are all important factors, they don’t tell the whole story of your potential new home. 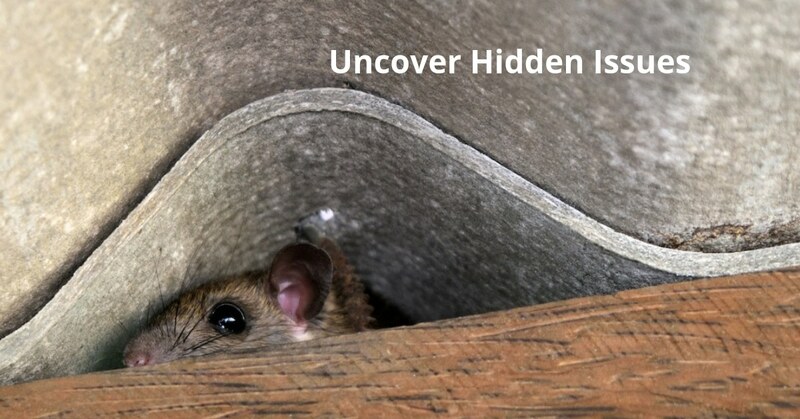 Even homes in the best neighborhoods can come with tons of hidden — and often costly — maintenance issues. Yes, you’ll have a home inspection to help catch anything that doesn’t meet standards, but that comes at the end of the home buying process. Here is what to look for when buying a home. When most people think of beginning the home buying or selling process, it tends to begin during the spring season. However, we know people relocate for many seen and unforeseen reasons, and they may need to buy or sell a home during the winter season. 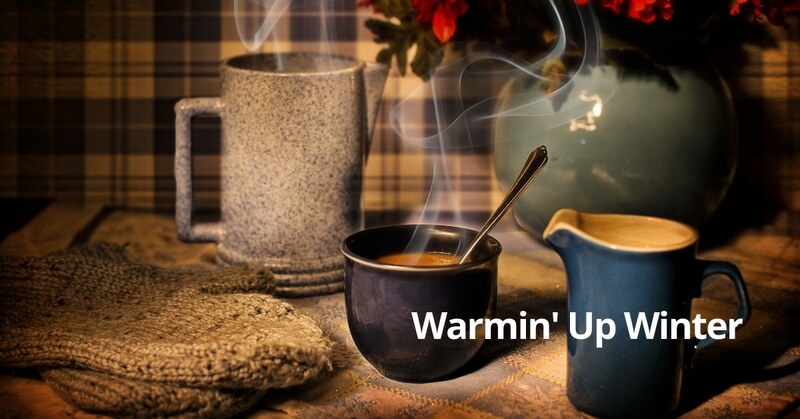 There are some things to consider when buying or selling a home in the winter. It can present challenges, so here are some tips on how to get it done and save money with Hero Rewards®. In saying goodbye to 2018, Homes for Heroes wants to recognize some of the amazing things heroes did in 2018. 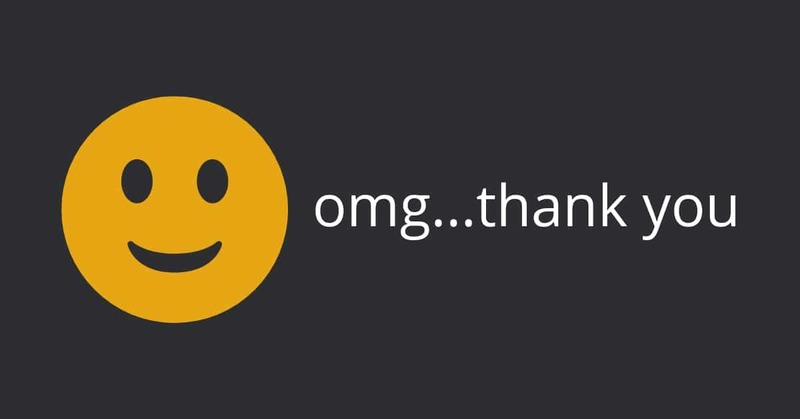 While we cannot possibly mention every act performed by our heroes this past year, we feel it’s important to show our gratitude by thanking heroes for their service. From showing others compassion to saving lives, all our heroes — firefighters, EMS, law enforcement, military, healthcare professionals and teachers — made tremendous sacrifices, demonstrated incredible bravery and showed the true meaning of serving others. 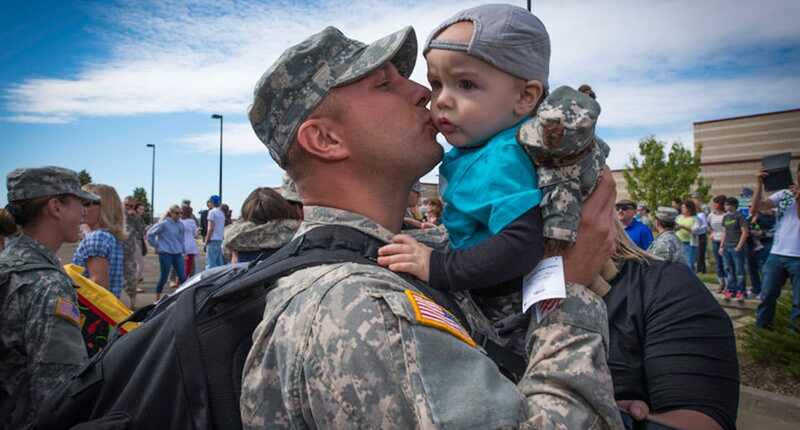 All year long, Homes for Heroes provides extraordinary savings to heroes who serve our nation and its communities. But during the holidays, we take it a step further. 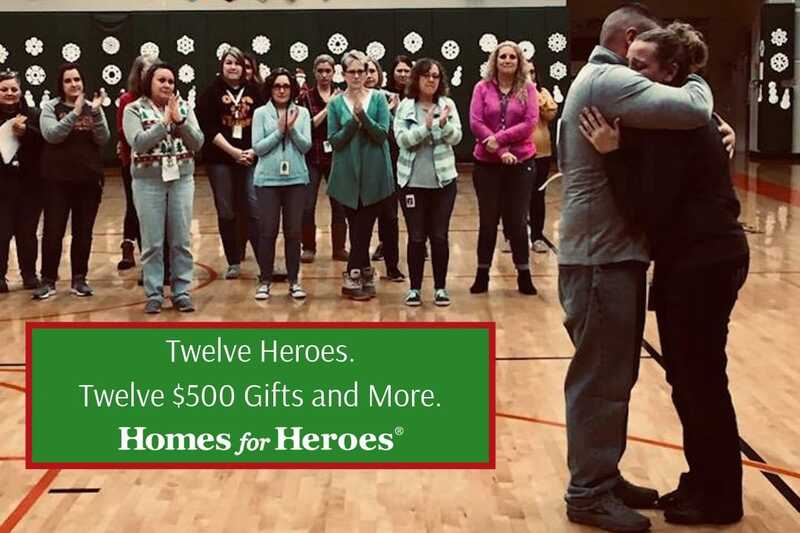 Every year, for 12 days leading up to Christmas, Homes for Heroes and our local affiliate real estate and mortgage specialists present 12 deserving hero families with a special $500 Christmas gift for the Homes for Heroes Twelve Days of Christmas Miracles. Day twelve of the Homes for Heroes Twelve Days of Christmas Miracles delivers a gift in the Salt Lake City, UT area to the Taylor family. 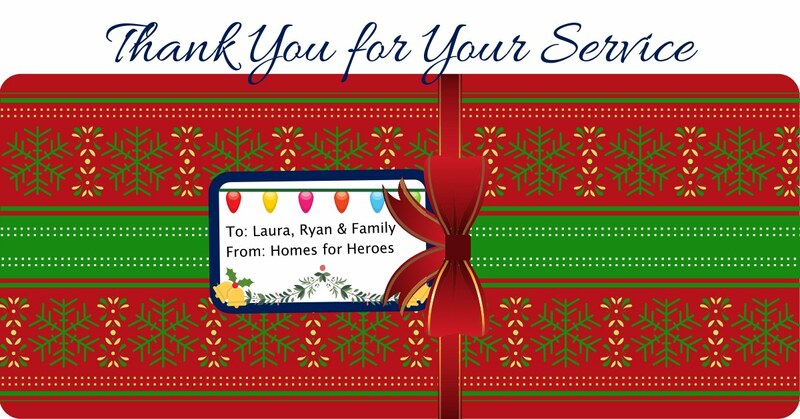 Homes for Heroes real estate specialists, Frank Coley and Barbara Dill, nominated the Taylor family to receive a $500 Christmas gift from Homes for Heroes and collaborated with other community businesses to provide additional gifts and support for the Taylor family this Christmas. The holidays can be a difficult time of year for military families who have loved ones deployed overseas or stationed on a base across the country. Military members who are fortunate enough to come home for the holidays often stay with family, while others may spend the holidays in rental housing near base. Many military members dream of owning a home and starting their own traditions, and Homes for Heroes is here to help you do just that. With our Hero Rewards®, military members can receive valuable savings to make the dream of homeownership and holiday joy come true. Day eleven of the Homes for Heroes Twelve Days of Christmas Miracles delivers a gift in the Clay County, FL to the McKay family. Homes for Heroes real estate specialist, Rachel Mateo, nominated the McKay family to receive an unexpected $500 Christmas gift this year. Day ten of the Homes for Heroes Twelve Days of Christmas Miracles delivers a gift in the Wichita Falls, TX area to the Quintanilla family. 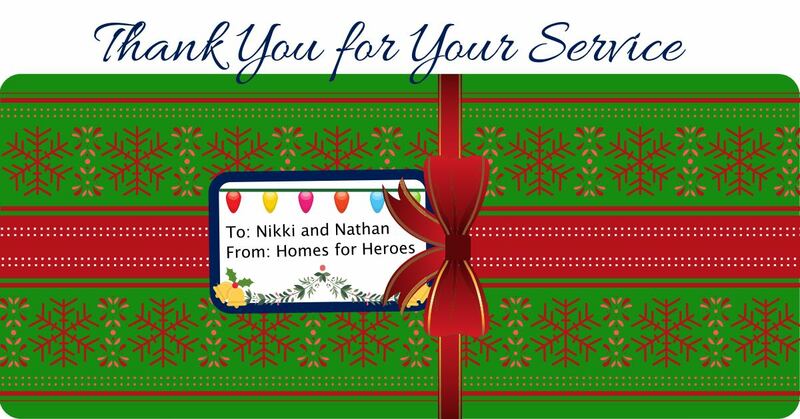 Homes for Heroes real estate specialist, Kim Roark, nominated the Quintanilla family to receive an unexpected $500 Christmas gift this year as a thank you for Nikki Quintanilla’s service to her country. Day nine of the Homes for Heroes Twelve Days of Christmas Miracles delivers a gift in New Carlisle, IN to the Schreiber family. Homes for Heroes real estate specialist, Jim McKinnies and his team, nominated the Schreibers to receive an unexpected $500 Christmas gift. The community came together to give a little back to both Laura and her husband, Ryan, to honor their dedicated service to the country and their community. Day eight of the Homes for Heroes Twelve Days of Christmas Miracles delivers a gift in South Carolina to sixteen foster children. Homes for Heroes mortgage specialists, Tommy Willcox and Brandi Szablewski, nominated a local hero named Susan to receive an unexpected $500 Christmas gift. Instead, she chose to put the money to good use and make Christmas better for sixteen foster children.